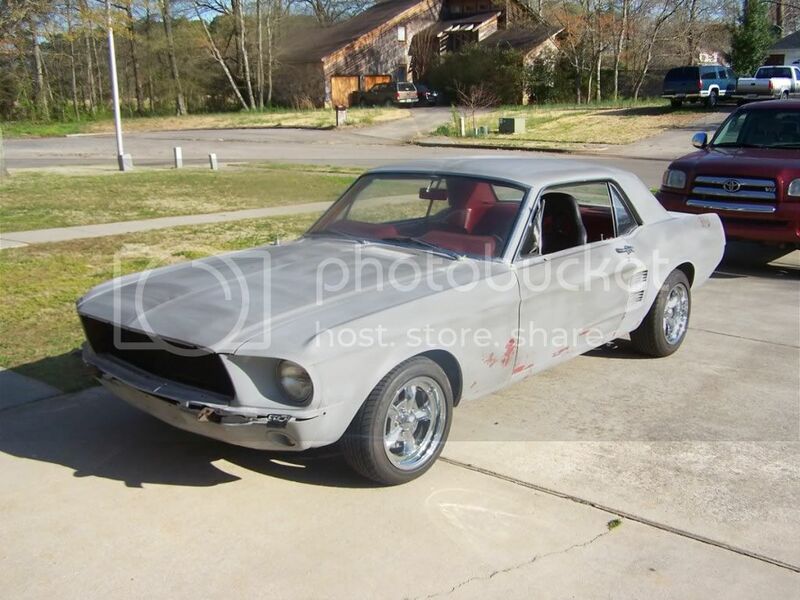 I hope to prep and paint my hood and front bumper this weekend. I've never done any automotive painting before though so I'm looking for someone that knows what their doing to help or supervise. I can rent the paint booth on the arsenal Saturday or Sunday but need to have the parts mostly prepped before hand. If anyone has a DA sander, blocks, or a decent paint gun I could borrow, it would help. If none are available I'll pick up some cheap ones from harbor freight and hope for the best. All that I currently have is a 20gal air compressor so if you have all the stuff, I can come to your place. Whatever is easier for you. I have watched a bunch of videos on youtube to try to be prepared and I will be getting most of the supplies this evening from Moore's Auto Paint. What type condition are the parts in right now? And just out of curiosity...what kind of car? The bumper is in good factory painted condition except one dime sized place than needs some bondo. 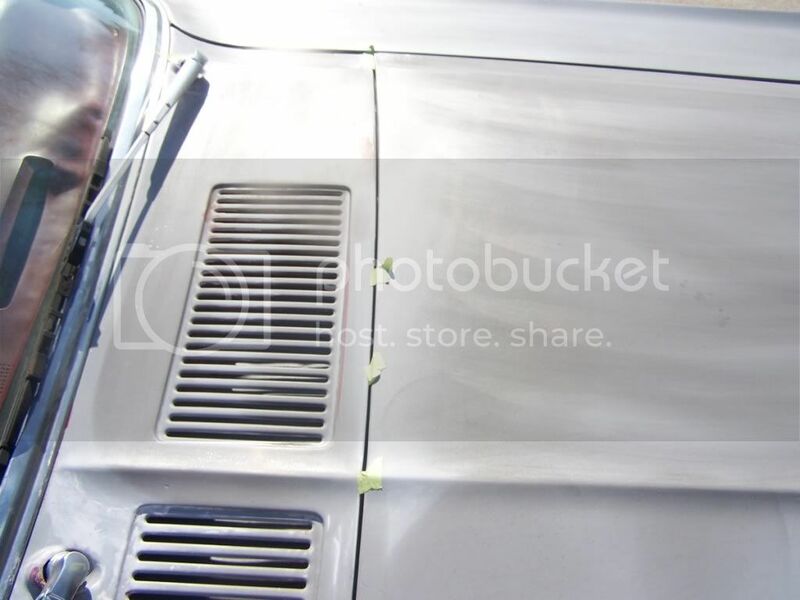 The hood has been stripped to bare aluminum except where there is body filler from a previous paint job, some of which came off when stripping the paint. So it needs to be redone in some areas. Both parts came from a junk yard and were painted an OEM black color but my car is red. This is for an Evo 8. Hi Sean! i have nothing important to contribute to your thread other than good luck and I cant wait to see your finished product! I'm so glad to see you're doing what most would be scared to do, including myself. You're going to know your car inside and out better than anyone. There's one person that I know of that might be able to help. Let me know if you want his contact info and I'll pass it onto you. Best of luck Sean. I can't wait to see you back on the road again. I now see why nobody was fighting over the opportunity to help. I didn't get a whole lot done on the project. 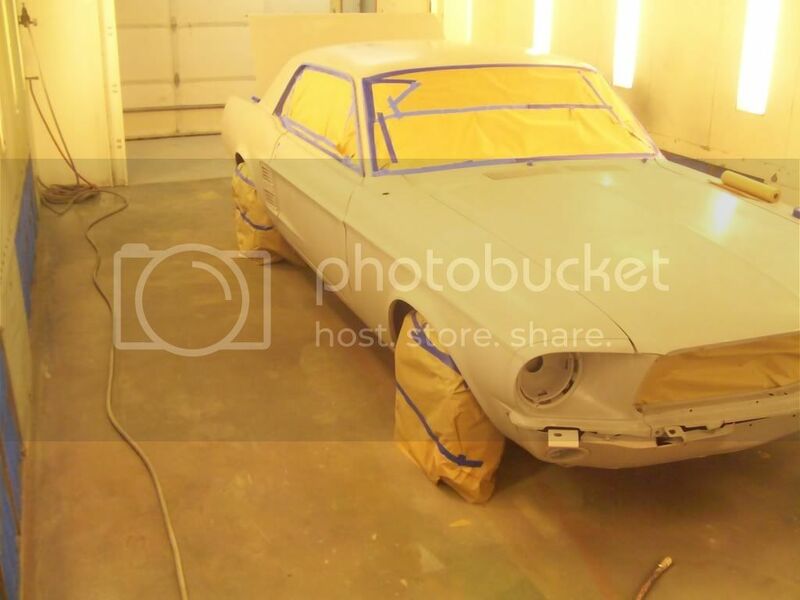 I got the hood down to bare metal and primed with self etching primer, then primed with primer/filler and wet sanded. Then put some body filler in a couple dents. Also, wet sanded the front bumper to a nice flat finish with help from my wife. She is much more patient and meticulous than I so this is a good project for her help! I still have some more body filler time with reapplying and sanding in a few spots on the bumper and hopefully I can lay some paint later this week. What grit did you go up to when wet sanding? I will admit I don't remember everything I learned about body work but I may would have put the filler on between my first coverage coat and my top layer that I would wet sand. Again...just my opinion and body work can be done a million different ways. Good luck and post pictures when you are done. I haven't done the final prime on the hood yet. That's just where I was when I quit. There will be a final prime coat over the filler. I just did a self etching coat, then a coat of primer that is 2 in 1 filler/primer. But it doesn't really fill dents. So I used body filler on top of that. Once that's all smoothed out there will be a final prime coat then paint. You don't need a DA, I never used one of my entire car. All you need is a set of blocks and sand paper. I had a charcoal coating put on my car every time so that I knew that I was getting it a smooth as possible. The charcoal coating would get into any low spots and wouldn't go away until you sanded it off. When sanding you want to keep the block flat on the surface at all times, don't want to angle it as you can dig in more than the rest. Also when sanding don't go horizontal and vertical, instead sand diagonally. 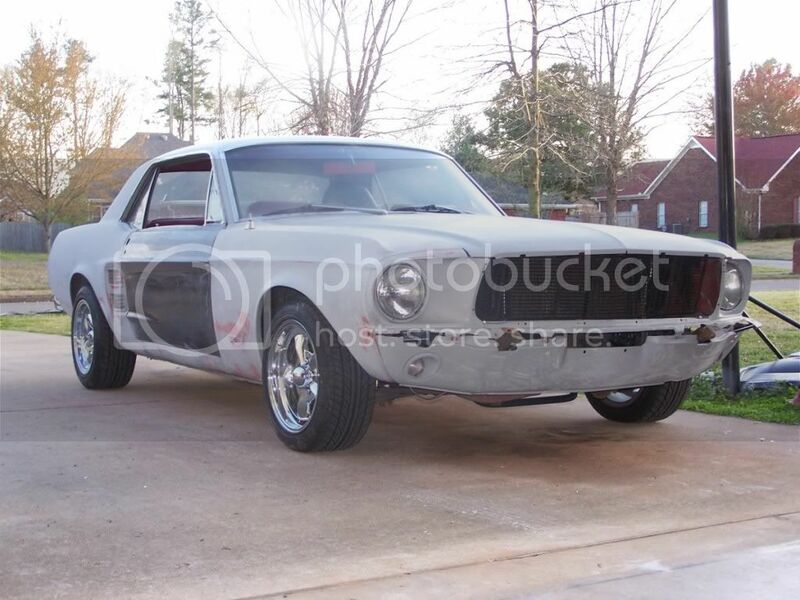 I sanded it with 600, but used 250 when I did body work. Here are pictures of the charcoal coating. That coating was put on after every time we put primer on. On the last prime I believe I just sanded with 600. This is it all gone. Then the final prime went on and I sanded it down for the last time. Before painting I always go over the car with lacquer thinner to try and get any contaminants off that could cause it to mess up. I didn't paint any of this car unfortunately, I did all the body work. My dad and Yager did the rest. Last edited by Ba Mustang; July 9th at 08:57 AM. Thanks for the tips. Where did you get the charcoal coating? I've heard of "guide coat" which serves the same purpose, is it also charcoal? 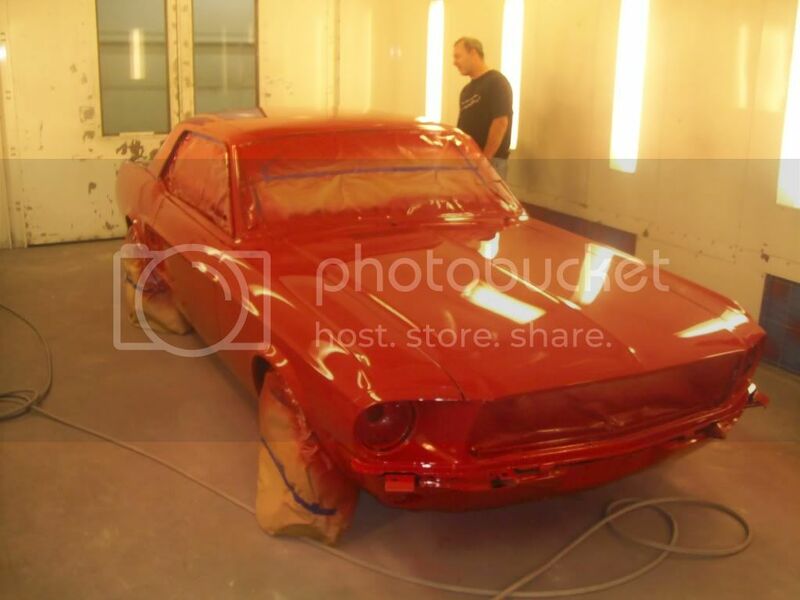 If this paint job turns out well I will be painting my miata and maybe the rest of this car in the future. Last edited by Sean; July 9th at 09:23 AM. Forgot to mention about sanding around edges. 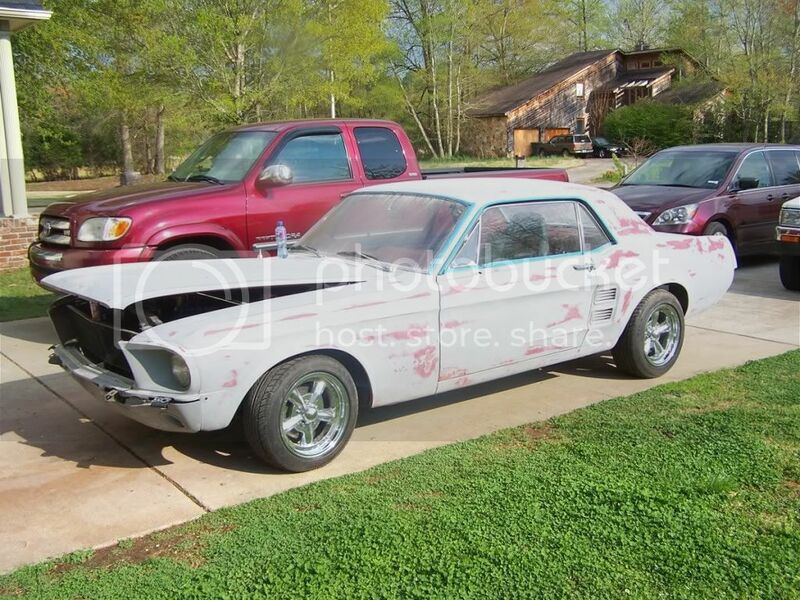 As you can see on the mustang there is that ridge going down the middle of the hood. When sanding around that you don't want to go over the top of it, that will flatten it out. Instead sand on each side and stop right at the top of the ridge so that it sharpens the lines. Also yes guide coat is essentially the same thing. Some will use a coat of paint as the guide coat, others use a powder similar to charcoal. I've been undoing what I did Saturday on the hood, since Monday. It was probably ok but there were some procedures I did that I'm going to redo with different products and in a different order and it's a pita getting it stripped down to bare metal. It doesn't help that I'm burned out on working on it at this point so I only worked on it a couple hours each night mon-wed and didn't do anything last night. Last edited by Sean; July 13th at 02:08 PM.